Doubling your winning odds by splitting a pair can give you a truly nice advantage, but only if done in accordance with the basic strategy rules. 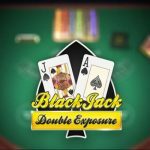 If you are new to Blackjack, splitting certain pairs and thus actually reducing your chances of beating the house is a common mistake, often made by of all those who prefer following a jungle path instead of employing a certain structure to their gameplay. What Is Splitting and How Does It Work? 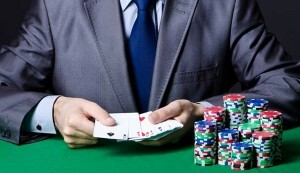 The move is obviously not obligatory and you could very well just skip it, but a weak hand can be significantly improved when the cards are separated, whereas a hand that’s already strong can potentially generate two winning hands – all the more reason to split and gain an advantage over the casino. If playing online, any dealt pair will automatically trigger the option to split, which the player can either select or disregard. Choosing to split will immediately separate your two cards and they will be played independently – this means that you will draw the cards for each of the hands individually and potentially win or lose on both hands at the same time. 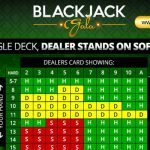 When to Avoid Splitting Your Pair in Blackjack? 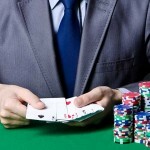 There are some limitations applied to card splitting which are not related to the game strategy, but rather with the rules imposed by the casino. Most casinos allow the players to split the hand twice, whereas the split Aces cannot be re-split. According to the house rules, once the Aces are separated only one card can be drawn for each of the two new hands. Whether or not the player will be able to Double Down after a split depends on the casino since not all operators will permit it. The second stage of splitting is deciding if the move will be beneficial. According to the basic Blackjack strategy, a pair of 5s should never be separated – keeping them together is a terrific chance to Double Down and acquire a stronger hand, like 18 or up. Should you decide to split this pair, a hand with a higher probability of busting could be dealt, the so-called “stiff” Blackjack hand. 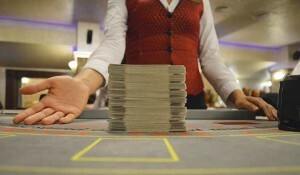 Splitting a pair of 4s will be conditioned by the casino’s policy on Doubling Down. 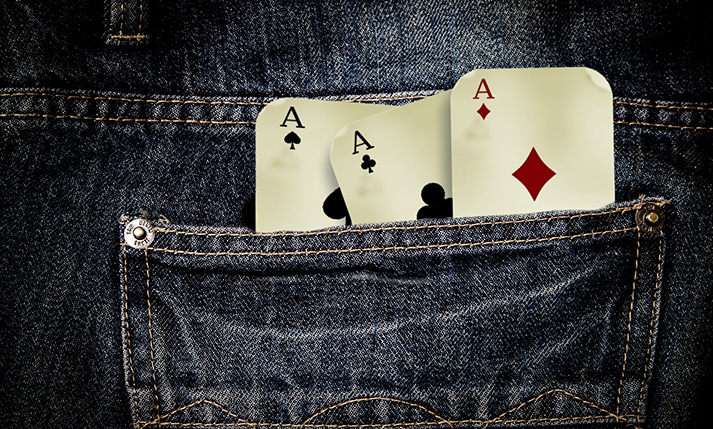 If you are allowed to do it, creating two separate hands out of a pair of 4s (if the dealer’s up card is 4 – 6) would be a good idea since there is a great chance of being hit with an Ace, 5, 6, or 7. 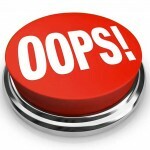 The same rule can be applied to a pair of 2s and 3s – split them if the casino approves the Double Down move. Otherwise, keep them together. A pair of 10s should always be left intact as this hand is very likely to win, being the closest to 21 without busting. For the most part, the dealer’s up card will guide your decision and ultimately affect your final move. 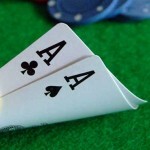 A pair of 9s, for example, should always be split unless the dealer holds a 7. There is a decent chance that the dealer will end up with a hard 17 and your 18-hand will win. Splitting your 8s is unfortunately not that simple but a lot of players will do it since this hand can easily bust or lose if kept together. Ideally, if the hand is split, it will either amount to 19 or 20 after a couple of draws or result in a push. When the dealer has a 2 – 7 card, it is highly recommended to split your 6s and 7s. 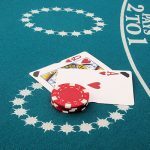 The idea here is to avoid busting (which is likely to happen with these two pairs) and to benefit from the likelihood of the dealer’s forming a “stiff” hand. 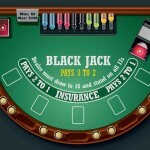 Can You Trust a Live Blackjack Dealer 100%? 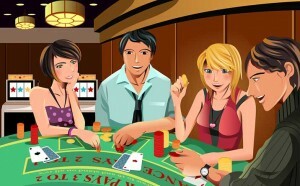 Practice and improve your Blackjack skills with our free instant play games. No download is required. 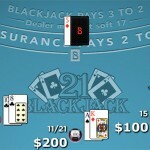 What are the chances of getting a natural 21, or blackjack? Warning: Gambling may be addictive. 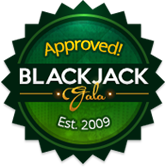 © 2009-2019 Blackjack Gala.